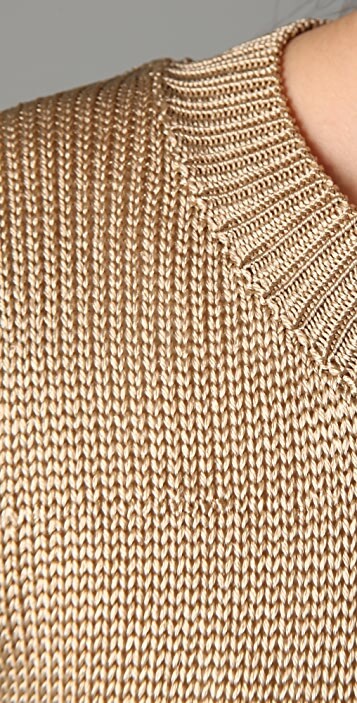 This slinky crew-neck sweater dress features ribbed edges and a hidden back zip. Extra-long sleeves. Lined. 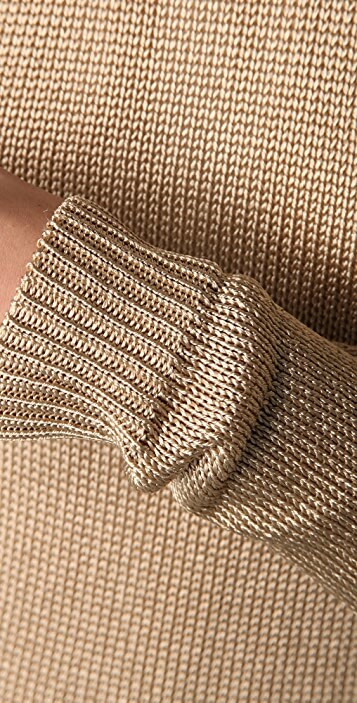 * Fabrication: Slinky fine knit. Runs true to size, I ordered M and was happy I didn't go with a smaller size as it wouldn't fit me at the hip. Awesome quality, fabric feels great as does the slip underneath. Only reason I will return this item is that I found a better price elsewhere.